La France à 200 ans de retard !!! Une FACULTE PUBLIQUE " Made in USA " du Top 10 MONDIAL unique au MONDE (Le SPORT-ETUDES UNIVERSITAIRE " à la Française " du 23éme SIECLE) !! The Best PHOTOS ALBUM on World Class UNIVERSITY of FLORIDA " Gators "
Welcome to World Famous " GATORLAND " Home of Ryan LOCHTE (Co-Best SWIMMER of ALL TIME), Alexandre LACROIX (Top 10 NCAA Tennis Player) & NBA player Joachim NOAH !! University of Florida " Stephen C. O'Connell Center Natatorium "
Fred BULLOT @ UNIVERSITY of FLORIDA " Stephen C. O'Connell Center Natatorium "
Aug 22, 2010 6-time Olympic medalist Ryan Lochte talks about his 2010 training. Lochte won 6 gold medals at the 2010 Pan Pacific Championships, the most successful performance of the competition. Nov 30, 2009 6 times Olympic Gold Medallist tells us his laws on how to be the best. June 13, 2011 Trains with Gatorade for the Olympics. July 23, 2010 Talks about the recent groin injury that could keep him out of the individual medleys at nationals in August, dealing with Coach Gregg Troy during taper season and the upcoming release of his new shoe line and other fashion-related possibilities in the near future. Jan 27, 2011 Ryan Lochte training in the Florida Gators weightroom. Oct 24, 2010 A sample of Ryan training with a boat rope. Great for finishing a race. Aug 18, 2008 Excellent fan video " The 2 Hottest Swimmers of All Time ". Jun 13, 2011 Ryan Lochte trains with Gatorade for the Olympics. Apr 8, 2011 Gary Hall Sr speaks with Ryan Lochte at the Speedo Sectional meet in Fort Lauderdale, Florida March 17-21, 2011. They discuss everything from bouncing back from knee surgery, the importance of racing and Aaron Piersol's retirement. Ryan is a 6 time Olympic Medalist and can be a contender for 8 medals at the next Olympics in London. "Listen to Ryan Lochte" — true words of wisdom. Feb 24, 2011 Ryan Lochte recently paid a surprise visit to his America's Swim Team teammates at Rose Bowl Aquatics in Pasadena, Calif.
Ryan showed up at the end of the team's intrasquad meet and participated in a relay. Sep 26, 2009 Demonstrates stroke drills. Apr 3, 2011 Olympic gold medalists Ryan Lochte and Josh Davis present the "Break Out Swim Clinic" with the Blue Dolfins in Oviedo, FL. Oct 10, 2010 Simsport.se interviewed Olympic Gold Medalist and World Champion swimmer Ryan Lochte at the University of Florida training facilities in Gainesville, FL. From 2009. Matt DeLancey Strenghtcoach and Bradley Ally (UF/Barbados) are in the weightroom with Ryan. Jul 31, 2011 Outstanding video on one of the best athletes of ALL TIME !! Dec 8, 2011 Ryan Lochte, the Male World Swimmer of the Year, looks back on what was a successful 2011. Among the highlights was five gold medals at the world championships, new sponsors as a result of his notoriety. The success has brought him much financial gain, but it doesn't mean his work in the pool is diminishing in the road to London. He also talks about preparing for the Olympics, including the events he might swim and when taper might begin. 20/ The Best PHOTOS ALBUM on UNIVERSITY of FLORIDA " Gators "
Feb 2012 Welcome to World Famous " GATORLAND " Home of Ryan LOCHTE (Co-Best SWIMMER of ALL TIME), Alexandre LACROIX (Top 10 NCAA Tennis Player) & NBA player Joachim NOAH !! FORMER VERY GOOD HIGH SCHOOL BASKETBALL PLAYER !! Mar 8, 2012 Get to know some of swimming's best and brightest athletes in the Speedo Pace Club's Poolside Chat series. May 8, 2012 As the Proud Sponsor of Moms, P&G presents this series about the mom behind the Olympic athlete. Ryan Lochte's story is brought to you by Gillette. May 12, 2012 On behalf of Gillette Great Starts, Olympic swimmer Ryan Lochte shares his biggest fear, his hidden talent, his thoughts on fashion and says what it's like to win a gold medal at the Olympics. 24/ Ryan Lochte - Gillette " Mind Games "
Get Started. Watch our new ad featuring 3x Olympic Gold Medalist Ryan Lochte. MY FAVOURITE / EXCELLENT PROMOTIONAL VIDEO !! Peter Vanderkaay is a 2 time Michigan High School State Champion in the 500 yard freestyle (2001, 2002), and is the 2001 state champion in the 200 yard freestyle. He graduated in the class of 2002, and swam for the The University of Michigan in Ann Arbor, Michigan. Vanderkaay holds a total of six NCAA titles and 14 Big Ten Conference titles. He also won a silver and two bronze medals representing the US at the 2003 World University Games. In his freshman year in college, he was Big Ten Champion in the 500 yard freestyle and the 800 yard freestyle relay. He also was NCAA All-American in the 500 and the mile. By the end of his sophomore year, he won four more Big Ten titles in the 400-yard IM, 500-yard freestyle, 1,650 freestyle and 800-yard freestyle relay. In short course metres, Vanderkaay also was the NCAA Champion in the 400 m free, the 1500 m free and the 800 m free relay, and placed fifth in the 200 m free. In his junior year, Vanderkaay repeated his 4 Big Ten victories, and was named Big Ten Swimmer of the Year. He was named All-American in the 200 yard freestyle, 500 yard freestyle, 1 650 yard freestyle, 800 yard freestyle relay, 400 yard medley relay. In his senior year at Michigan, he was the senior co-captain for the Michigan Wolverines. He won 4 more Big Ten titles, 200 yard freestyle, 500 yard freestyle, 1650 yard freestyle and 800 yard freestyle relay, and one final NCAA title in the 500. Vanderkaay also placed second in both the 200 and 1650 yard freestyles at the NCAA meet. At the 2004 Summer Olympics, Vanderkaay was a member of the 4×200 m freestyle relay team, along with Michael Phelps, Ryan Lochte, and Klete Keller, that beat the favored Australian team of Ian Thorpe, Grant Hackett, Michael Klim, and Nicholas Sprenger. At the 2005 World Aquatics Championships in Montreal, Vanderkaay won a gold medal in the 4×200 m freestyle relay. Along with Phelps, Lochte, and Keller, their time of 7:06.58 was an American record. At the 2007 FINA World Championships in Melbourne, Vanderkaay again swam in the relay with Lochte, Phelps, Keller. They set a world record in the 4×200 m freestyle relay with a time of 7:03.24. In the summer of 2007, Vanderkaay posted a career performance at U.S. Nationals, beating Michael Phelps for first place in the 400 m freestyle. Vanderkaay also teamed up with Phelps, Davis Tarwater, Scott Spann, and Chris DeJong to win 2 more golds, one in the 4x100 m freestyle relay and another in the 4×100 m medley relay. Vanderkaay won his 1st individual medal, a bronze, in the 200 m freestyle at the 2008 Summer Olympics. Vanderkaay was part of the 4×200 meter freestyle relay that set the world record as the American team finished first with a time of 6:58.56. The Americans were the first team to break the seven-minute mark in the relay, and broke the previous record, set in Melbourne by more than four and a half seconds. Team USA swimmers Peter VANDERKAAY (left), Michael PHELPS (center) & Ryan LOCHTE react after winning the 4x200 freestyle relay @ 2004 Olympic Games in Athens, Greece. Members of the 4x200 relay team, Michael PHELPS (left) & Ryan LOCHTE celebrate after winning the gold medal @ Olympic Games in Athens Aug 17, 2004. Michael PHELPS (left) & Ryan LOCHTE the 2 Best Swimmers of ALL TIME !! Head Swimming Coach (Men/Women) of UF & Head Coach of 2012 USA Olympic Men's Swim Team !! Top 3 Best Coach in the World " THE coach that made Ryan LOCHTE " !! Jan 6, 2010 University of Florida coach talks about training during the holiday break, coaching Shaune Fraser and Gemma Spofforth, acquiring Elizabeth Beisel and preparing Ryan Lochte for this summer's meets. Nov 29, 2007 Interview at the 2007 U.S. Short Course Nationals. Nov 19, 2010 GT brings viewers up to date on his men’s and women’s teams at Florida and the training progress of superstar Ryan Lochte. Aug 30, 2010 Gregg Troy after being awarded 2010 ASCA Coach of the Year. Nov 19, 2010 UF head swim coach Gregg Troy talks about coaching Ryan Lochte through the years. Sept 5, 2010 After being awarded 2010 ASCA Coach of the Year. Sept 5, 2008 In one of his talks at the American Swimming Coaches Association Conference, Gregg referenced Bob Bowman analogy of the hammer approach to coaching. Gregg has built a program at Florida that is known for hard work, and the results speak for themselves. Famous for winning a GOLD medal at the 1988 Summer Olympics in Seoul (Korea) by edging American super star and favorite Matt BIONDI by one one-hundredth of a second to win the 100 m butterfly; he finished the event in 53 " and Biondi in 53 "01 !! Returned to international competition at the 1987 Pan-American Games in Indianapolis, Indiana, winning a gold medal in the 100m butterfly and a bronze medal in the 200 m butterfly. Nesty is the only Olympic medal winner from Suriname and after winning his Olympic gold medal, he was unbeaten in the 100 m butterfly event for 3 years. Nesty was the 2nd black athlete to win an Olympic medal in swimming following Enith Brigitha at the 1976 Summer Olympics in Montreal, Quebec. Nesty's victory in Seoul was a momentous social and political event for Afro-Caribbeans. The Suriname government commemorated his gold medal performance on a stamp and on gold and silver coins. A 25 guilders bank note portraying the illustration of a butterfly swimmer was printed in his honor. Surinam Airways named one of its planes after Nesty, and the indoor stadium in Paramaribo was renamed for him. Nesty won gold medals in the 100 m butterfly at the Goodwill Games in 1990 and the FINA World Championships in 1991. At the 1991 Pan-American Games in Havana, Cuba, he again won a gold medal in 100 meter butterfly and a silver in the 200 m butterfly. He attempted to defend his 1988 Olympic gold medal in the 100-meter butterfly at the 1992 Summer Olympics in Barcelona, but finished with a 3rd place bronze. Recuperating in between 2 dives in the hot tub !! at the men’s NCAA Final Four in Indianapolis. Florida won 73-57. Oct 10, 2006 - Florida Joakim Noah celebrates with Gator fans during their season-opening 79-54 the win over Samford. Noah had 11 points, 15 rebounds and 4 blocks. THE SECRETARIES of the LIBRARY ! GO GATORSSSSS !! Front row (l-r): Nassim Slilam, Sekou Bangoura Jr., Billy Federhofer, Alexandre Lacroix, Spencer Newman. The TOP 10 SPORTS & ACADEMICS UNIVERSITIES in the WORLD !! # 1/ HARVARD University - The most prestigious university in the world ! # 2/ YALE University - The " Place-to-Be " for the political & intellectual elite ! # 3/ STANFORD University - The high tech mecca of Silicon Valley ! # 4/ BERKELEY (University of California, Berkeley) - Best public university in the world ! # 5/ UCLA (University of California, Los Angeles) - World’s # 1 institution for Sports & Higher Education ! # 6/ DUKE University - World’s # 2 institution for Sports & Higher Education !
" 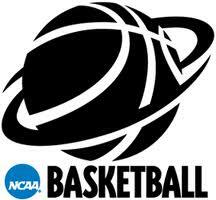 Go Blue Devils "
# 7/ TEXAS (University of Texas at Austin) - World’s # 3 institution for Sports & Higher Education ! # 8/ UNC (University of North Carolina at Chapel Hill) - Oldest public university in the USA !
" 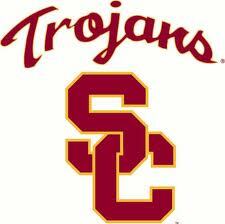 Go Tar Heels "
# 9/ USC (University of Southern California) - California's oldest private research university ! # 10/ FLORIDA (University of Florida) - One of the top public universities in the USA !